Protesters donning hospitals gowns paraded around Annapolis, Md., on Sunday to get back at Gov. Larry Hogan for vetoing a job-killing paid leave bill. A new mandate from the Maryland legislature, which required that employers provide paid sick leave, sounded like a step toward providing peace of mind for workers who want to care for a new baby or a suddenly sick parent. However, good intentions aren’t enough to justify the damage this mandate would inflict. Hogan was right to veto the bill, but now small business owners are needed to speak up about the economic harm this one-size-fits-all mandate will inflict on their businesses and the workers they employ, to stave off an override vote. The Healthy Working Family Act (House Bill 1) would have required all employers with 15 or more employees to provide “sick and safe” leave. Smaller employers with fewer than 15 employees would also be required to offer unpaid leave. Workers must clock at least 12 hours each week to enjoy this proposed benefit. Most Maryland workers already have these on the job benefits. According to the U.S. Bureau of Labor Statistics, in 2016 nearly two-out-of-three Maryland workers (61 percent) in the private sector had paid sick leave plans. Paid sick leave is nearly universal among state and local government workers (92 percent). Yet, that does leave about a third of Maryland workers without paid sick leave. These tend to be more economically vulnerable workers employed in lower paying jobs in industries such as hotel, food service, retail, healthcare and social assistance, and waste management. But that doesn’t mean that this new mandate is good news for these workers. Yes, it means that they would have access to a new benefit, but these vulnerable workers, and the small businesses which hire them, would also shoulder the burden and pay a big cost in terms of lost job opportunities and lower wages. The NFIB Research Foundation projected that the mandate would result in an estimated 13,000 fewer Maryland jobs and $11 billion in lost output by Maryland businesses over the next decade. Small businesses would bear the brunt of job losses (57 percent) and the lost sales (53 percent). That also means that their workers, who tend to have the toughest time finding employment opportunities already, would suffer most. National fast food chains and hotels may be able to absorb higher labor costs, but not franchise owners and small business owners already struggling to compete with larger competitors. Compensation costs are not the only new burdens they would face. This bill mandated new record-keeping and paperwork requirements, which could require workers divulge sensitive personal and medical information to use the leave. Added to compliance costs is the revenue forgone as business owners spend time on paperwork instead of acquiring new customers or running and growing their businesses. In addition, companies incur lost production due to absent workers and the disruption in their operations. These businesses will have no choice but to make adjustments to their operations: Lower pay rates, cut workers, or eliminate benefits. None of those is good news for those workers we all want to help. This is why the governor called on businesses to help sustain his veto while Maryland explores a common-sense approach to a paid leave policy which won’t hurt the workers it should help. There are better ways to help these workers without destroying job opportunities. Making it easier and less costly for companies to offer benefit plans is a way of achieving that goal. Hogan’s stalled paid leave bill took this approach — although it still included a mandate to larger employers which would still sacrifice job opportunities for greater benefits. Policymakers have other options such as creating personal savings accounts which allow workers to save pre-tax dollars for time off among other expenses like health care costs and education. For those who can’t afford to stow away the needed funds for time off, government can provide a modest contribution. The president is considering how states could use the unemployment insurance system to help new parents who lack paid leave, which also could target aid to those who really need it while minimizing economic disruption to businesses. 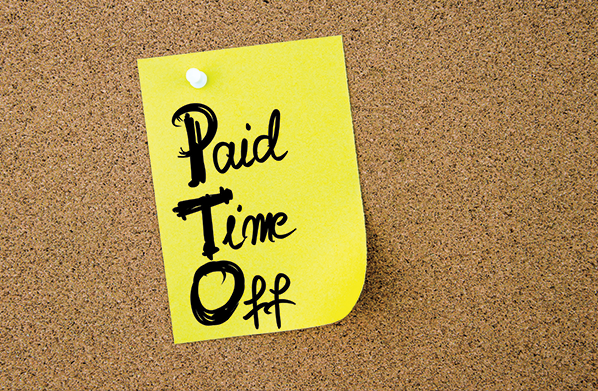 Paid sick leave provides some piece of mind for when life happens. No one wants to see good workers leave their jobs to care for an ailing parent at financial risk to them both. Maryland needs a reasonable approach. The right kind of approach should not put employers and employees at risk leaving everyone with permanent time off: Unemployment.